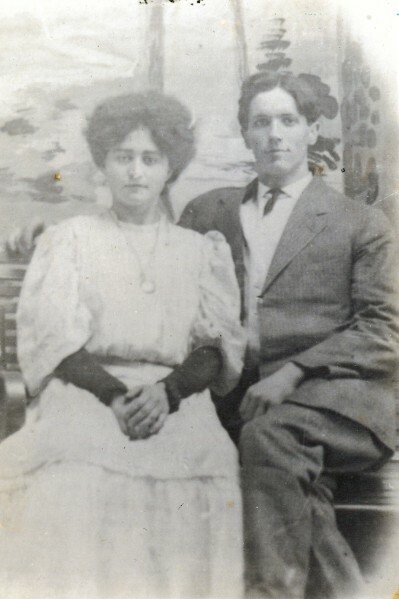 Vance Foutz and Laura Zeigler, about the time of their marriage in Canal Dover, 1907. I remember the first family tree I ever had to fill out, tripping over the name. Heck, I could barely fit it in the little rectangles they provided to record our ancestors’ names: Christina Laurina Katherina Zeigler. It was probably third grade or so. We were assigned a sort of combination interview/research project. I dutifully called my grandmothers Ley and Foutz and recorded their answers. The names were all new to me then, of course. I had only grown up knowing one of my great-grandparents, and it turned out M.A. Ley, as we knew her (really Florence (Jones) Ley), had been my grandpa’s stepmother. And so I dutifully scribbled Robert Earl Ley Jr. and Zula Lucrece Fisher (that was another fun name) in their appropriate rectangles. Grandma Ley’s side gave me Robert Ohio Weible and Beatrice Ethel Morgan. Grandma Foutz’s side gave me Charles Arthur Johnson and Viola Mae Palmer. Grandpa Foutz’s dad’s name I may have known. You take Vance Cleveland Foutz and Robert Ohio Weible from Mom’s side and you get the name they considered for me for a time — Cleveland Ohio Foutz. I think I had heard that story by age 8 — and been thankful they’d reconsidered. But Grandpa Foutz’s mom’s name was new, and wholly unique. Grandma said it several times, spelled it out: Christina Laurina Katherina Zeigler. I wondered about a name so exotic. What were its origins? Back then, I understood the Foutz side of my family to hail from Germany, and that was true of the Zeiglers as well. Great-Grandma Laura’s mom (Elizabeth Duerr Zeigler) only spoke German in the house — or so the legend went. I figured Laura’s unique name was a part of that heritage. Years after that first family tree assignment, I began to burrow into my family’s history in earnest. As I began to accumulate records — 1910, 1920 and 1930 censuses for Vance and Laura’s family, their 1907 marriage record, the 1947 deed selling their Front Street bungalow to my grandparents, her 1956 funeral card and obituary — none of them recorded the unique name my grandma Erma Foutz had related. Even her shared gravestone with Vance in Dover Burial Park etched her name, simply, as Laura K. Foutz. Certainly, no relatives other than my immediate family seemed to recall the melodic string of names being associated with Laura. Could it just be a family legend? Ah, but then, some documented evidence, at last. And of the most authoritative kind, historically speaking. Laura’s 1885 birth record lists her name as “Christine Catharine Ziegler,” born to John J. Ziegler and Elizabeth Duerr. Aside from the marring of the family name — back in Germany, at least, it was “ie” but we switched to “ei” here — bango! The name had to have been given to her by her parents. So, some confirmation at least of the name I’d learned in elementary school. But where did it come from? As noted above, Great-Grandma Foutz’s siblings’ names are interesting, but not nearly so… suspiciously sing-song, say, as Christina Laurina Katherina. You have, according to my synthesis of records from the 1860s through 1974, when her last sister passed away: Johann Heinrich, Samuel, Charles William, Matthias Gottleib, Mary Anna, Susanna Bertha M., Jacob Phillip, David Wesley and Edward Daniel. Not exactly Transylvanian, right? It wasn’t until this year that I placed her name in proper ancestral context, even if some mysteries remain. Thomas Bitticker, a distant cousin from the Duerr line, not only lives in the Ruslin Hills today — old stomping grounds of our 19th century Zeigler ancestors — but attends the same church building at the edge of the Zeigler homestead where most of great-grandma’s siblings were confirmed and married, and knows his way around Ruslin Hill Cemetery to boot. Thomas shared a remarkable artifact of an ancestor I had not previously been able to trace my family to. Turns out, Great-Grandpa J.J. Zeigler’s parents were Jacob Friedrich Zeigler and Christina Catharina Luithard. Armed with a name, I unearthed some other documentation that further confirms Jacob and Christina as third great-grandparents — and traces their emigration from Wuerttemberg, Germany to Ohio in the mid-1800s. Birth certificates show Jacob and Christina as parents to my great-grandfather Johann Jacob, born May 20, 1827 in Hohenacker, Waiblingen, Wuerttemberg; and to an older sister, Barbara, born Sept. 12, 1810 in the same city and district. The Wuerttemberg, Germany Emigration Index records “Ziegler, Jacob Friedr” as applying for emigration from Hohenacker, Waiblingen in April 1834. Ship’s records in New York show the family arriving on July 17, 1834 from Le Havre, France on the ship Francis Depeau. The passenger manifest, recorded in the captain’s hand, shows the family at that time to include: Jacob F Ziegler, 50; Catherine Ziegler, 46; Mattias Ziegler, 21; Rosine Ziegler, 19; Gottlieb, 14; Frederica, 11; and “Jean”, age 9, born in 1827; as well as sister Catherine, 4, and a Jacob Ziegler, age 41, possibly a relation of Jacob F.
The 1850 census records Jacob F. and Catharine living in Lawrence Township, Tuscarawas County, Ohio. Son Jacob, 23, is the only child living with them. Now, I’m not certain where the rest of their children went. And though an Ancestry.com connection reports sister Barbara as having married in Hohenacker and eventually settling in Stark County, Ohio, where she is buried, all of that has to be substantiated. What is substantiated, though, is my great-grandma’s connection to her own grandmother Zeigler’s name. The elder Christina Catherine is buried in Ruslin Hill Cemetery, her stone broken, and barely legible, but the dates of birth and death unmistakably hers. As to where the “Laura” name came from, or the sing-songy variation Christina Laurina Katherina (not to mention the conversion of Catherine to K), I don’t know. Perhaps it’s a game a youngest child of 10 played with her own name? Or another family legend, etched deep. The broken gravestone of third great-grandmother Christina Catherina Luithard lies on its side in Ruslin Hill Cemetery, north of Dover, Ohio. 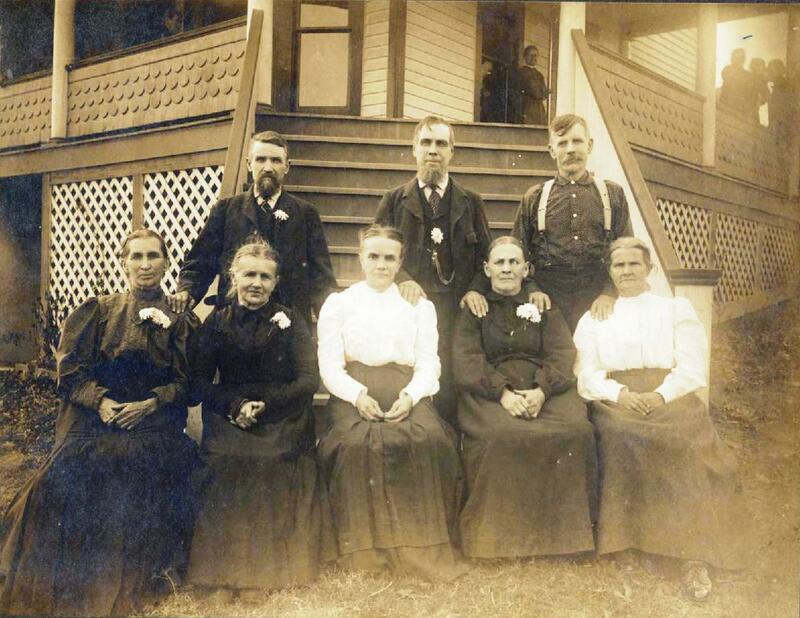 Great-great Grandmother Elizabeth (Duerr) Zeigler -- seated in the front row, second from right -- and her siblings and siblings-in-law, at a family reunion, circa 1903. From left, front row: Margaret Stallecker Duerr, Mary Duerr Welsch, Anna Duerr Arnold, Elizabeth Duerr Zeigler, Susan Myers Duerr. Back: Michael Duerr, John Krantz (husband of Catherine Duerr) and Sam Duerr. Courtesy of Thomas Bitticker. I’ve been contemplating a way to jump back into the blog, to give it a good kickstart. All I end up doing is making lists of topics and themes and fretting about the perfect way to include the most interesting and comprehensive of information. Which, of course, leads to utter inaction. Every other day, in ad nauseam, in ad infinitum, I’ll throw a random dart at the stack. Wherever it sticks is what I’ll pull out and post for you here. Let it be a starting point for further discussion — and discovery. Today’s installment is the first of what I’ll label “In Good Countenance” — a look at pics from the past of our oldest ancestors. Here, we catch a glimpse of my great-great grandmother, Elizabeth Duerr Zeigler, mother of Laura (Christina Laurina Catherina, as legend would have it), mother-in-law to Vance Cleveland Foutz. 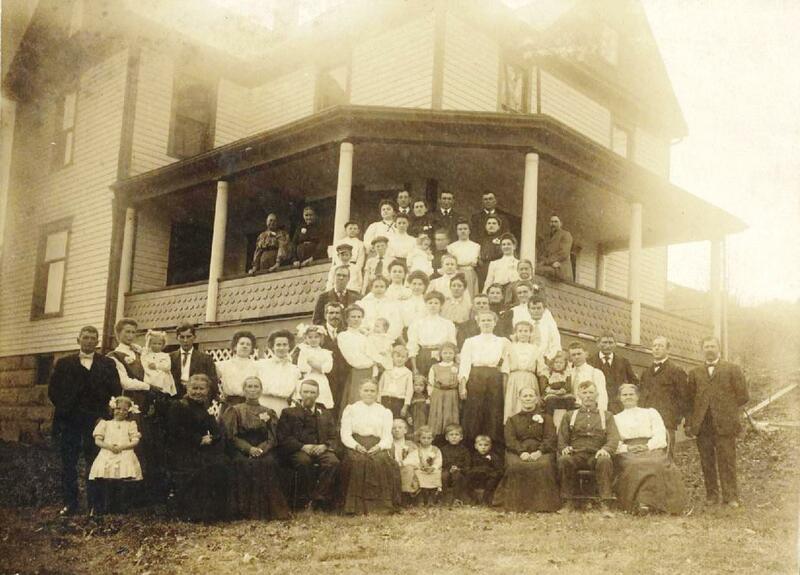 This pic, as far as we know, was taken a few years before those families merged. At about 1903, shortly after brother Sam Duerr (son of third-great-grandfather Samuel Duerr) built this house along Dover-Zoar Road across from where the golf course would one day sit (according to the inscription). The remaining sons, daughters and in-laws of Samuel Duerr are shown here. The Duerrs emigrated from the Tuebingen district of Wuerttemberg, Germany in January 1857. Sailing from Le Havre, France, they arrived in New York on the ship William Nelson that May. Elizabeth, if the dating of this photo is correct, had been widowed about 6 years. She would live another 25, passing away in the home of my great-grandparents, Vance and Laura, at age 82. The photo below is also from the same reunion. Again, if 1903 is the date, Great-Grandma Laura would have been a mere 17, 18 years old. My only guess is that she is perhaps pictured at the top of the stairs on the left, wearing a white blouse. Elizabeth is pictured in the front right, seated to the left of her brother Sam. After months of attention devoted to my father’s branches in the family tree, it’s time to get back to the buds and boughs on Mom’s side. Specifically, the Weibles. July is a month with more than its share of Weible milestones, including my grandmother’s (Sue Weible Ley, July 6), great-grandmother’s (Beatrice Morgan Weible, July 27) and great-great grandmother’s (Esther Bliss Goddard Weible, July 4) birthdays, as well as the birthdays (Andrea, Sam) and anniversaries (Dan & Laura) of a few descendants. So it’s as good a time as any to wrap up our look at the latest pictures, documents and newspaper clippings I’ve collected over the last few months, since two brief visits home and a stay over at my parents’. We begin with a look at the life of my fifth great-grandfather, Johann Friedrich Metzger, and a boyhood that was partially occupied with serving our fledgling nation during its fight for independence. My ties to Frederick, as he is commonly known in our family, run this way: He was the father of Anna Metzger Weible, who was mother to Frederick Weible, who was father to Franklin Eli Weible, who was father to Robert Ohio Weible, who was father to Suzanne Abbott Weible, who was mother to Janet Ley Foutz, who is better known as Mom to me. Anna Nancy Metzger, remember, is an ancestor we have in common with Ella Metzker Milligan, whose 1940s history recounts the exploits of generation after generation of Metzgers, Weibles and the like. This probably took place in the family’s Lehigh River Valley home in Pennsylvania, near Northhampton, where Anna and her father were born. By the time Anna was 10, the family was on the move, bound for Westmoreland, Pennsylvania, where Anna would eventually meet an adventurous Swiss immigrant named Hans Jakob Weible, marry him, and head for Ohio, where the family’s fate awaited. 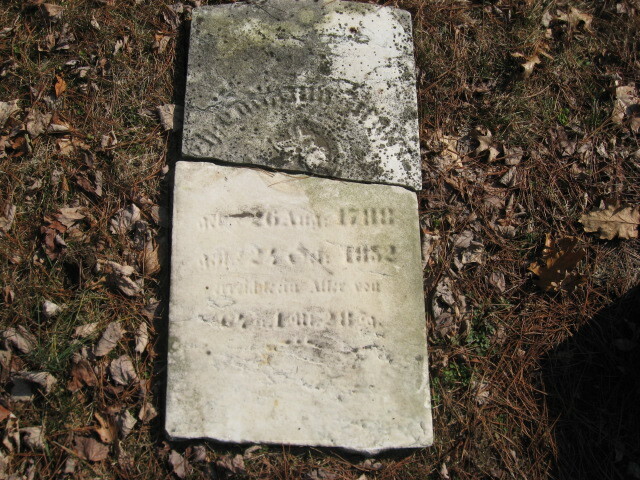 Anna’s parents, Johann Frederick and Anna (Schliefer) Metzger, would remain in Barren Run, PA, where Frederick died in Oct. 1842 at age 83, and Anna would outlive him another 14 years, ripening to age 97 before her passing on July 4, 1856 (incidentally, the fourth birthday, in Vermont, of her great-grandson Franklin Eli Weible’s eventual wife, Esther Bliss Goddard). I don’t know anything, yet, of how Johann made his trade, or why the family moved from that part of Pennsylvania where his father, Christian Metzger, settled after emigrating from Wuerttemberg, Germany in the early 1750s. (And there’s another of our family from Wuerttemberg, predating the Foutzes, Weibles, Leys and Zeiglers in roughly that order.) But we do know what he was up to from about age 17 to 23, as he served in various militias connected to Northampton. My great-grandfather Robert Weible’s application is the most thoroughly sourced, citing no fewer than eight references to Pennsylvania archives, tax rolls and muster records of the militia, but not Ella Milligan’s book, which had not yet made its way into his hands. Helpfully, R.O. does list his children on the application (no grandchildren, not yet); so Arry, Sue and Bill’s descendants should be able to reference his application, if that ever becomes necessary for anyone’s aspirations. John Wible’s application does quote from Ella Milligan’s book, which saves me a trip to the Newberry Library in Chicago to dig up the winning text on or about page 88, which I’ll share below. What we learn is that Johann Frederick Metzger was living on about 113 acres of land with his family in Northampton, Pa. In November, 1776, he enlisted in Heidelberg Company — the first company of the second battalion in the Northampton Militia, under the command of Col. Henry Geiger, according to all three applications. 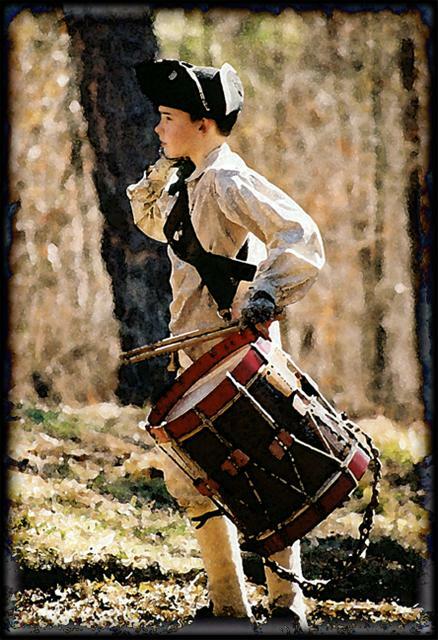 He enlisted as a private and drummer. He was 17 years old. There were six other men with him in Class 4 of his company. “We are at Valley Forge. I am in the First Company, 4th Class. We are in the Second Battalion. 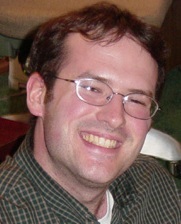 Philip (no sibling of his matches this name — Colt) and four other men are in my class. We have a little log cabin, and we eat together. General George Washington rode by our hut today. He stopped and spoke to us. He saw the warm coat you made for me, and was glad. When it gets too cold I play the drum and we march around past the other huts. As soon as it warms up we are going south around Philadelphia. Some apple and peach brandy, or some cherry bounce would taste good. John Wible’s application notes that Frederick appeared on muster rolls until 1781, the year before his marriage to Anna Schleiffer in Zionsville, Lehigh, Pa. R.O.’s application reports that the Battalion saw action as late as 1783, but doesn’t say whether Frederick was still among them. They would go on to raise 10 children, and apparently enjoy an audience with George Washington again, long after the freezing winter in Valley Forge, as the nation they fought to establish was enjoying its first flourish of independence and democratic self-rule. 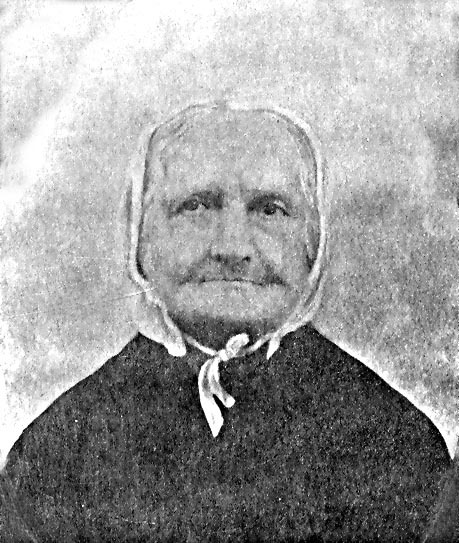 Great-great-great-great Grandmother Anna Nancy (Metzger) Weible, a true daughter of the American Revolution. Her father, Johann Frederick Metzger, served at Valley Forge.